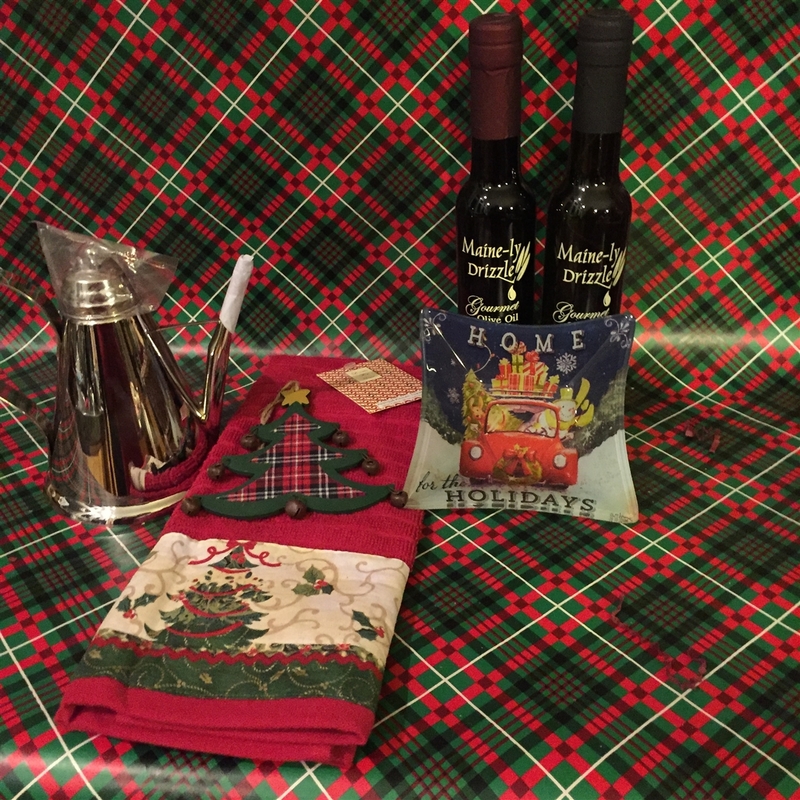 Beautifully packaged wicker basket includes two 6.7 oz products, a glass dipping bowl with "home for the holidays" theme, a holiday cotton kitchen towel, a wooden tree ornament. also included is an Elegant classic design in stainless steel-Stainless Steel 2 Cup Oil Can. 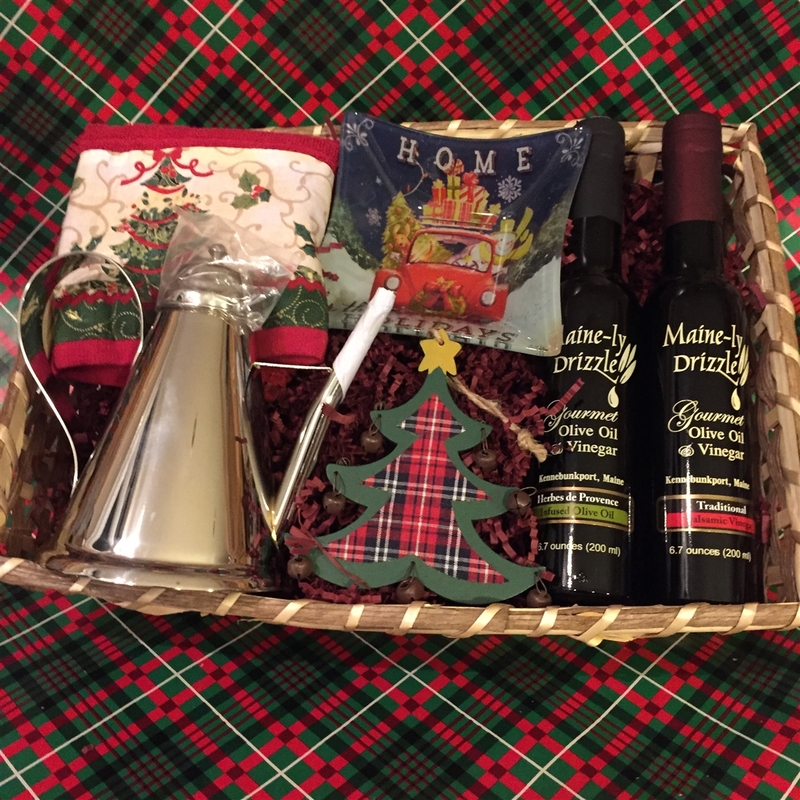 Unless otherwise specified, in the comments section, during check out we will include our top selling oil and vinegar, 18 year traditional balsamic vinegar and tuscan herb olive oil.